Riftmax Theater is one of the most interesting projects currently underway for virtual reality. 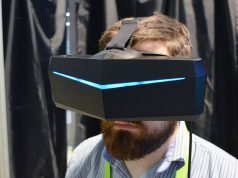 The software acts as a theater for both videos and live performances, where users can come together from across the world to watch a film or be part of a live production, all with the immersive power of VR. 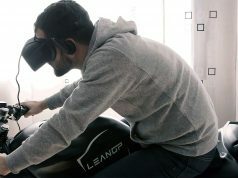 The developers have been supporting the community with their software since the early days of the Oculus Rift and are now headed to Kickstarter to take it to the next level. Riftmax Theater currently supports the Oculus Rift DK1 and DK2 VR headsets, along with the Razer Hydra motion controller. Players can host or join lobbies which transport them into a virtual theater which can be configured to watch movies, host theater productions, or even just to socialize. With the Razer Hydra motion controller, players can control their hands naturally to gesture while they speak, adding an impressive level of realism to virtual interactions with other players. Riftmax Theater allows anyone to host their own virtual show, and is home to several recurring live events like the weekly Karaoke Night hosted by Troach & Bilago, and Virtually Incorrect With Gunter, a talk show focusing on virtual reality. The game won ‘Best Social Experience’ at the Proto Awards in September. 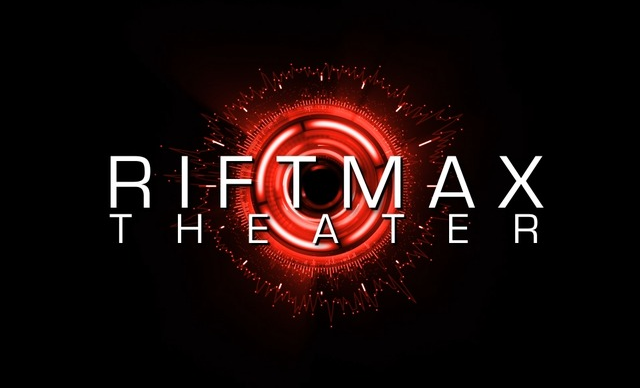 Folks interested to see what Riftmax Theater is all about can download the current beta here. 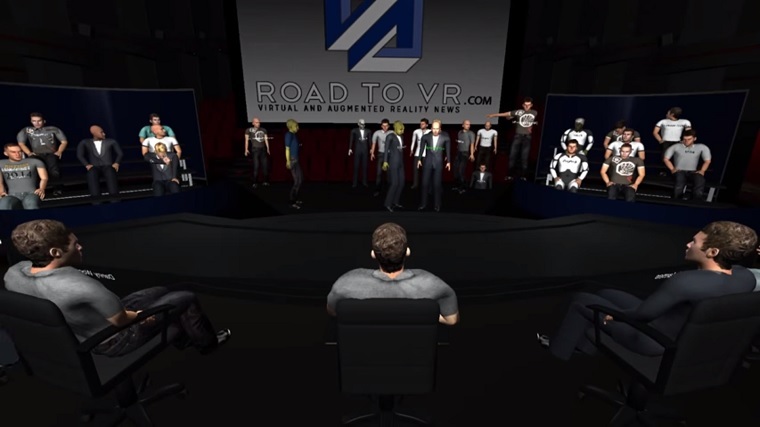 In August, with the help of the Riftmax Theater crew, Road to VR hosted a live roundtable discussion which brought together VR industry insiders to talk with the Road to VR team and answer questions from the live audience of some 50 people. Even though the software is still rough around the edges, to date, this is one of the most magical experiences I’ve had in virtual reality because it felt just like a real-life panel, but happened completely inside virtual reality with participants from across the world. In the early days of Riftmax (back before avatars had arms! ), our own Reverend Kyle hosted the first live virtual reality talkshow, complete with a live audience, guests, a virtual band, and even cheesy jokes! We are not here to pitch an unachievable project together with an unreasonable Kickstarter goal, or to use Kickstarter as a get rich quick scheme. We will continue developing Riftmax and keep it free to play regardless of the result of our campaign, but as a small, self funded group, the reality is funds will allow us to take Riftmax much further than possible on our own. Providing users with the means to put on a variety of different shows/performances including the ability to monetize them. Giving users further options for customizing and creating their environment and avatar’s appearance, including a stage/set designer companion app. New theater types, viewing environments and virtual spaces to interact in, for example a ‘Haunted Theater’ perfect for watching horror movies in. Expanding on and supporting/hosting a variety of live events, such as virtual film festivals, open mic nights, etc, as well as conferences/meetups. Continue to refine performance to achieve best possible framerates and ensure a comfortable VR experience, as well as to increase the number of concurrent users possible in a given server while maintaining a comfortable framerate for all. Adding a HUD system that will add additional information such as Player Profiles of users. 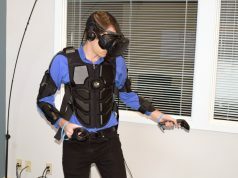 Incorporate support for the PrioVR, ControlVR, STEM system, Omni and any other popular motion control solutions / HMDs. $500 – TV Cam Controls Toolkit: Addition of a simple user interface to allow a user running a server (and those they permit) to control multiple cameras/angles for stage/show productions for streaming/recording purposes. $1,000 – Screen Type Selector: A toggle that allows the user to select from a variety of screen types for their theater including curved, domed, and more to enhance the immersion. $1,500 – Stage Set Creator/ Designer: An external stage set designer application, this will allow users to easily create their own set of customized stages/sets and camera positions for a variety of shows/performances as well as any use they can imagine! Includes support for unique object and texture imports as well as a huge assortment of pre-made items. $2,500 – 2 Unique Themed Theater Types: To be determined based on community poll to be run during the campaign. $4,000 – Customized Avatar Creator: To give the user more freedom to customize their avatar’s appearance, as opposed to simply a larger variety of pre-made avatars. $6,000 – Real Drive-in Theater: Hop into a vehicle of your choice in the Riftmax parking structure by yourself or with friends and drive to a “real” virtual drive-in theater! Rewards for backers of the campaign run from $2 to $1000 which unlock various in-game functions like exclusive dance moves, a jet pack, additional customizations for avatars, poster and video advertising slots in the theater’s lobby, and more. Riftmax Theater has functioned as an entertaining and immersive social hub; we wish Internow Games the best of luck with their campaign and encourage the VR community to support them just as they’ve supported the community.